Posted on January 9, 2019 at 9:25 am. Whether you reached your personal goals in 2018, faced challenges, or are looking for a 2019 reboot, let’s take a moment to hit on the key themes from the past year. Before I get started, I want to revisit a comment I included in my commentary from the beginning of 2018. The U.S. economy exhibited strong growth in the second and third quarter, a recession did not ensue, and yes, 2017’s lack of volatility was remarkable. We knew it wouldn’t last, but predicting an expected exit date is difficult. January began 2018 on a firm footing, building on highs in the wake of tax reform, low interest rates, low inflation, and strong corporate profit growth. If stocks rise or fall on the fundamentals (and they usually do), the outlook was quite favorable as the year began. However, while I will always believe no one can consistently time the peaks and valleys of the market, when there’s too much good news priced into stocks, any disappointment can create volatility. A spike in Treasury bond yields tripped up bullish sentiment early in 2018. President Trump’s decision to level the playing field of international trade created uncertainty in the first half. Then, investors decided trade wasn’t important—until they decided late in the year that it was. Another bout of selling began in October and the decline accelerated in December. Several factors contributed to the weakness, including fears that continued rate hikes and continued balance sheet reduction by the Fed might stifle economic activity in 2019 and quash profit growth. We’re also experiencing heightened uncertainty brought on by the ongoing trade war with China. In addition, key tech stocks that had been market leaders for several years lost their mojo and pulled on the major averages. There may be times when we may want to include high-flying shares in our more aggressive portfolios, but the big decline in important companies such as Apple, Amazon and Facebook highlights the risk of concentrating in too few names. As the year ended, the peak-to-trough decline in the S&P 500 Index totaled 19.8% (St. Louis Federal Reserve thru 12.24.18). We exceeded the long-term average annual peak-to-trough drawdown by six percentage points. Still, we’re just shy of the 20% threshold, which is the commonly accepted definition of a bear market. I’m going talk more about Bear markets in some future pieces in the coming weeks. If Christmas Eve marks the bottom of the sell-off, it won’t be the first time we’ve had a steep correction that side-stepped a bear market. We witnessed similar declines in 2011 and 1998. In both cases, a profit-crushing recession was avoided. But let me offer a little bit of perspective. The Q4 decline may have been unsettling. Nevertheless, the total decline in the S&P 500, including reinvested dividends, amounted to just over 4% (S&P Dow Jones Indexes) for calendar year 2018. Overseas stocks fared quite a bit worse, as the global economy shifted into a lower gear earlier in the year, and trade tensions, which are more likely to rattle foreign economies, added to woes. When I was in my 20s and 30s, I wouldn’t blink at a stock market decline. The contribution rate of my 401k was on autopilot. Each pay period, I’d purchase well-diversified mutual funds. When stocks declined, dollar-cost averaging allowed me to purchase a greater number of shares. Besides, I knew it would be decades before I’d need the funds for retirement. With a very long-term time horizon, even a vicious bear market wasn’t an issue. As we age, we can’t take such a sanguine view, and a more conservative mix of investments becomes paramount. Though we are unlikely to match major market indexes on the way up, we can still anticipate longer-term appreciation and sleep at night when the unpredictable market sell-offs materialize. The same can be said of accounts that hold college savings, especially if the beneficiary is in college and doesn’t have the time to recover from a sharp dip in stocks. For those in the most conservative portfolios, the drop in the major market averages had little impact on your overall net worth. Our recommendations are based on many different factors, including risk aversion. It’s rarely profitable to make decisions based on current market sentiment, i.e., panic selling or euphoria that sends us chasing the latest trends. Predicting the future market return percentages is a fool’s errand. It gets proven every year that no one “expert” can consistently predict with any great certainty the percentage increase or decrease from year to year. While 2018 began with unbridled optimism, caution quickly entered the picture and most major U.S. indexes had their first downturn since 2008. In 2019, we have the mirror image. There is no shortage of cautious sentiment. But the fragrance that’s in the air today doesn’t always determine market direction throughout the year. As we’ve seen, markets can be unpredictable as investors try to anticipate events that may impact the economy and corporate profits. I’ve always found it interesting that some analysts hope to discern trends from various calendar-like indicators. We’ve just entered a new year, and typically the so-called January barometer gets some play in that arena. Loosely defined, some say that how January performs sets the tone for the rest of the year. 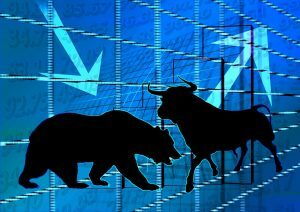 Of course, if stocks perform well in January, the bulls already have a leg up on the bears. Throw in reinvested dividends and a natural upward bias in stocks, and it helps explain why a positive January usually results in a positive year. But, that wasn’t the case for 2018. And by the same token, 2016’s weak start didn’t carry over into the rest of the year. Then, there was this October 4th article in the Wall Street Journal: “Midterms Are a Boon for Stocks—No Matter Who Wins.” On average, the months of October, November and December have been the top-performing months during any year that included a midterm election (1962-2014). This year, though, there was a failure to launch. While there’s still time left on the calendar, history indicates that Year 2 Q4-Year 3 Q2 is regularly the best three-quarter performance period of the 16-quarter cycle that begins just after a president has been elected or reelected. That’s using data on the performance of the Dow going back to 1896. Finally, we could hang our hat on one other midterm indicator. That is, the S&P 500 has finished in positive territory in every post 12-month midterm period since 1950. I say “could” because, while reviewing past election-year patterns to gain useful insights might make for an interesting conversation during New Year’s Day Bowl games or a family dinner, I must stress that it does not substitute for a well-thought-out plan that takes unexpected detours into account. We know that stocks can be unpredictable over a shorter period, and sell-offs are normal. And they aren’t pleasant. But we take precautions to minimize volatility and, more importantly, keep you on track toward your long-term financial goals. I came across a recent piece by LPL Research that highlighted this. They found that the S&P 500 has lost an average of 31% every five years since WWII; included are declines of 19%. Yet, the index has registered an annual advance 75% of the time (Macrotrends) and almost 80% when dividends are reinvested (NYU Stern School of Business Stock/Bond Returns). Further, the S&P 500 has averaged an annual advance of nearly 10% since the late 1920s (CNBC/Investopedia). During up markets and down markets, I like to stress the importance of your investment plan and the progress we’re making toward your financial goals. Stocks will hit small bumps in the road, and occasionally hit a major pothole, but the long-term data highlight that stocks have easily outperformed bonds, T-bills, CDs, and inflation. As Warren Buffett opined a couple of years ago, “It’s been a terrible mistake to bet against America, and now is no time to start.” (Investment U, Motley Fool). As 2019 gets underway, I want to wish you and your loved ones a happy and prosperous new year! If you would like a second opinion on your investment plan, please call the office at 336-310-4233 or email phuminski@thoriumwealth.com to schedule a review.